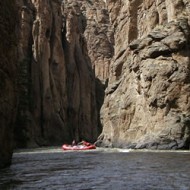 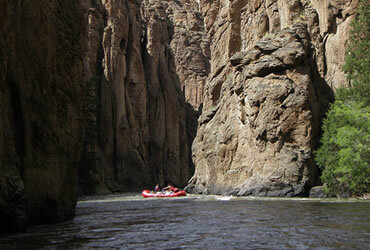 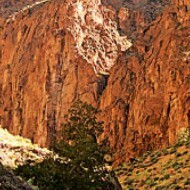 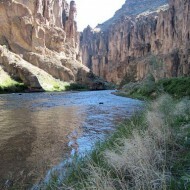 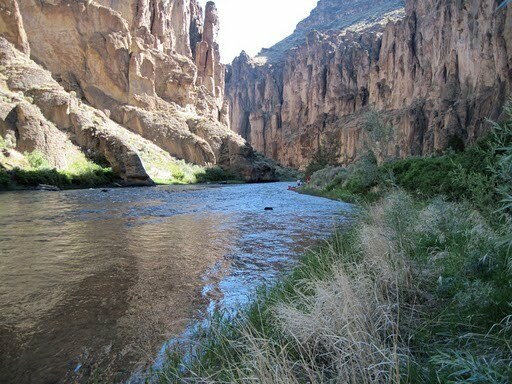 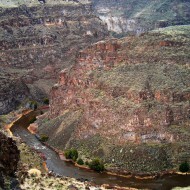 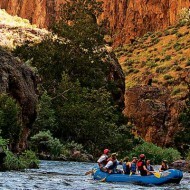 Over a four-day, 40-mile river trip in May or June, you’ll experience the intimacy of the Bruneau Canyon, a mini-Grand Canyon, with vertical red-rock cliffs, fingers, caves and odd shapes that creative minds can name on their own. 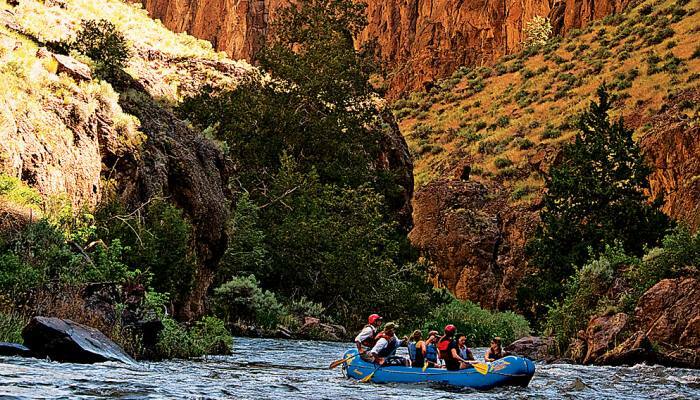 After a super fun day on the river, you’ll relax in camp while guides serve hors d’oeuvres, distinctive wine and a gourmet dinner featuring locally grown food. 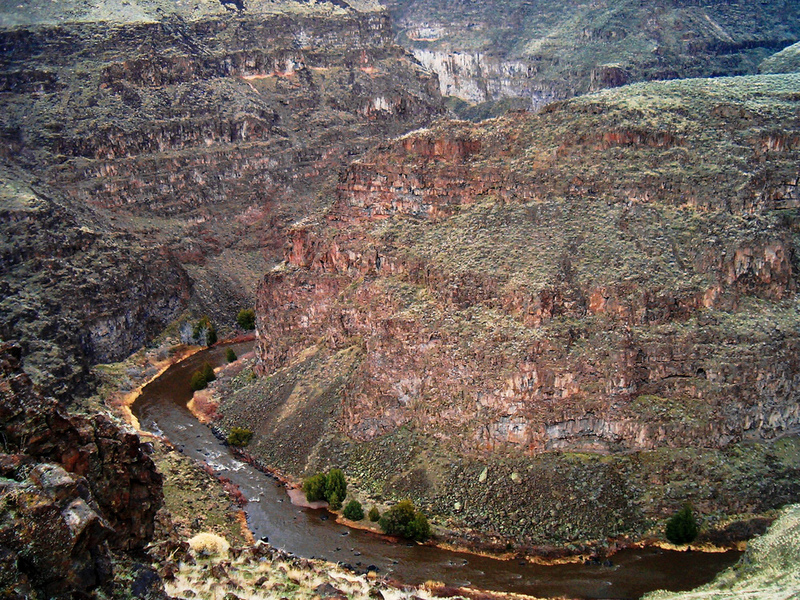 The last day on the Bruneau River features Five Mile Rapids, a series of challenging rapids through seemingly endless boulder fields. 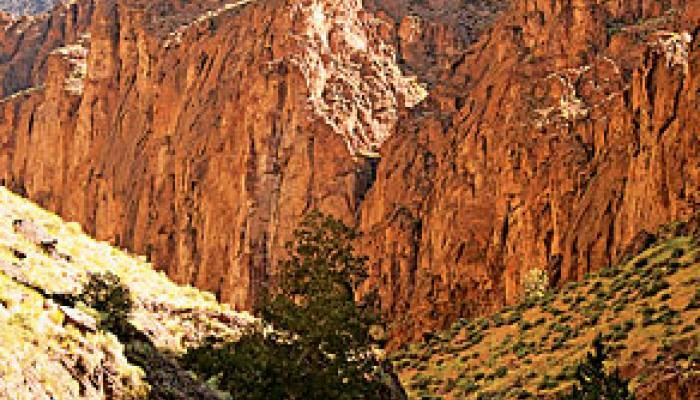 You’ll be happy to be in the company of Far & Away’s experienced guides, and you’ll watch with awe as they expertly maneuver through the maze.